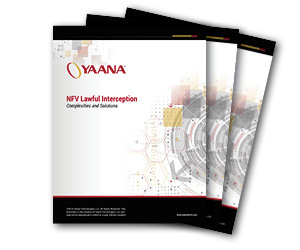 This White Paper addresses one narrow but significant subset of NFV compliance obligations – Lawful Interception (LI) and the acquisition location of target information at what has been called the Point of Interception (PoI). The topic is one that has considerable significance both for evidentiary purposes, and for the determination of jurisdiction and application of law, and includes access to Retained Data. This Paper describes how LI is readily accomplished using complementary LI Service instantiations to obtain “observables,” and how neither the legacy notions of “interception” nor a geophysical location are circumscribing constraints. What is/are your primary interest(s)? This new White Paper examines the USA Freedom Act within the context of this evolving global data retention ecosystem and describes what is necessary to implement it. The USA Freedom Act was enacted to provide continuing metadata analytical capabilities to discover US domestic terrorists using electronic communications. The USA Freedom Act is also similar to legislation recently enacted by Australia, Canada, France, Switzerland, and the UK. The provisions flow from extensive global industry-government technical collaboration on these capabilities and data retention systems. Yaana has been leading the global technical specifications initiative and providing large-scale data retention service in multiple venues worldwide for more than a decade. Software-defined networks (SDN) and network function virtualization (NFV) represent unprecedented architectural openness which promises to drive down operational expense while enabling new services and analytics capabilities. Purpose-built network infrastructure appliances will be replaced by virtualized counterparts. New software capabilities like deep packet inspection and analytics will also emerge in this environment, enabling greater visibility and better insights into network use trends. This white paper discusses Yaana Smart Network & Deep Packet Inspection (DPI) technology and how it fits into the context of SDN/NFV. Telecommunications network design evolves to support the nature of the applications that need to be carried out. Around year 2000, the global data traffic volume exceeded voice traffic volume. This white paper recounts the evolution of networks toward the current key characteristics: automated, digital, mobile and packet-based; and then discusses future trends and their impact on government’s ability to conduct lawful interceptions. This white paper is based on an effort led by Yaana in the ETSI Technical Committee for Cyber Security to pull together network operators and government officials to enumerate and structure all these obligations in the form of “by design” requirements - to see the commonalities and synergies among those obligations with a view to creating common platforms for compliance purposes. SOS received a Court Order from law enforcement requesting data regarding an ongoing investigation. With no prior experience dealing with a Court Order, SOS CEO Jerry Stephens solicited the help of the Wireless Internet Service Providers Association (WISPA) board for a referral of companies. Yaana is the only WISPA vendor with an end-to-end CALEA compliance solution. Cellular One needed to ensure they were CALEA compliant and could handle subpoenas for their billing records and subscriber’s information. In addition, they needed to detect loss of revenues due to mishandling of CDRs and allow them to reconcile with their roaming partners efficiently without economic loss. Yaana’s worked directly with Cellular One to prepare a solution for their CALEA needs. Bug Tussel needed to ensure they were CALEA compliant and could handle subpoenas for their billing records and subscribers' information. In addition, they needed to detect loss of revenues due to mishandling of CDRs and allow them to reconcile with their roaming partners efficiently without economic loss. All these revenue impacting issues and potential fines of non-compliance were Bug Tussel CFO’s critical worries. 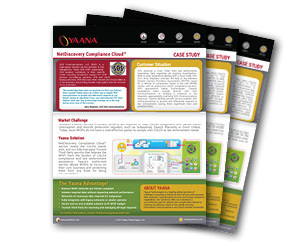 Yaana’s compliance and data analytics teams worked directly with Bug Tussel to prepare a cost-effective solution to provide CALEA compliance, subpoena processing and revenue assurance. Yaana Technologies is a leading global provider of intelligent compliance solutions and services with accurate data retention, sophisticated security and unique analytical capabilities. Our solutions offer our customers a cost-effective path to address the complexities related to meeting compliance needs in the rapidly evolving information communications and cloud markets worldwide. Request Management System provides a secure privacy protective mechanism for achieving legal compliance without building costly one-off solutions that deplete internal resources and operating expenses. Data Retention System is designed to retain and store business data in various formats, utilizing a highly customizable flexible workflow that searches and locates data in seconds and delivers an instant acknowledgement. The 2G/3G/4G/LTE/Broadband Lawful Interception System utilizes a unique approach for intercepting 2G/3G/4G/LTE/Broadband data while minimizing the burden on the network. 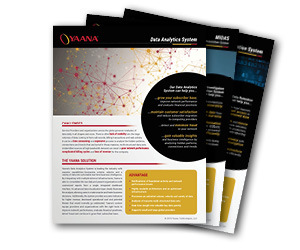 Yaana’s system eliminates the need for expensive probes on data links within a provider’s network. DeepProbe is a multi-use smart network product. DeepProbe incorporates intelligent deep packet inspection and application decoding scalable from rough-to-fine traffic visibility with configurable alerting on user defined network events in real-time. Internet Records Intelligence Solution for IP Address Resolution encompasses off-switch data acquisition, IP ingestion and retention, along with query and disclosure management. Each component can be used separately or together to provide a perfect fit Internet Records Intelligence Solution for each CSP’s needs. DMCA Infringement Management System offers customizable work-flows that securely receive and send notifications in seconds – saving the compliance team valuable processing time while ensuring compliance. DMCA Infringement Management Service is a unique end-to-end solution designed to meet the compliance needs of Service Providers (and any other organizations served with DMCA legal process), by enabling quick and secure responses to copyright infringement notifications. Our NeuString Wholesale Roaming solution helps identify problem areas and potential improvements and allows users to test the impact of such activities. Our solution offers a superior turnaround time for greater predictive customer insights into margins, usage and returns. Our NeuString Retail Roaming solution enables Mobile Operators to better understand every action of each outbound roaming subscriber and to tailor roaming subscriptions and price plans according to individual preferences. The National Security and Intelligence Solutions (NSIS) address all aspects of targeted and mass surveillance of all types of Internet and telecommunications networks. Helix 360 delivers actionable insights from multiple disparate data sources onto a single, unified analytics interface making it easy for National Security and Public Safety intelligence analysts to identity threats. LEADS (Law Enforcement Agency Data System) leverages state of the art technologies to address the process complexities of delivering and receiving thousands of global legal requests to thousands of service providers and organizations world wide. The Mobile Investigation & Data Acquisition System (MIDAS) application distributes gathered data in real-time from the field to the MIDAS Command Center system, which then processes the field data instantly, allowing analysts to rapidly review, create leads and assign tasks.